In-game, you will encounter Necrozma three times. However, you can not use a Pokeball in your first or second encounters. The first encounter with Necrozma is at the altar of the moon ring on Poni Island. The second time you’ll encounter Necrozma will be at the Ultra Megalopolis. The final encounter with Necrozma will be at Mount Lanakila on Ula’ula Island. You will encounter Necrozma at Mount Lanakila along the victory road after the events at Ultra Megalopolis. Northwest of Mount Lanakila’s cave area is an ice-covered rock. Head to the back of the room and you’ll see a hole to the left of the rock. Enter the hole and talk to Necrozma inside to fight it. You can throw a ball at Ultra Necrozma and catch it this time. Necrozma uses a Z-crystal to evolve. Ultra Sun and Moon introduces a new evolution for Necrozma, Ultra Necrozma. 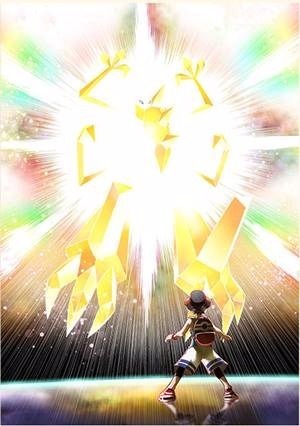 To obtain Ultra Necrozma, it is necessary for Necrozma to absorb Solgaleo or Lunala. He becomes Dawn Wing Necrozma or Dusk Mane Necrozma upon doing so. The forms of Ultra Necrozma. On the left is Dawn Wing Necrozma and on the right is Dusk Mane Necrozma. This Pokemon is available at the end of the story. After obtaining Necrozma, fuse it with Solgaleo to get Dusk Mane Necrozma. Afterwards, obtain the N-Solarizer machine from Professor Colress. Head to the Mahalo mountain road on Melemele Island. Upon reaching the suspension bridge, you will meet Lillie and Solgaleo. Talk to the pair to start a battle. Catch Solgaleo here. If you have Solgaleo in your party, use the N-solarizer machine on Solgaleo. Necrozma and Solgaleo will combine to form Dusk Mane Necrozma. You cannot get Solgaleo in-game if you have Ultra Moon. However, you can obtain a Solgaleo by trading. Use the N-Solarizer machine to form Dusk Mane Necrozma. Similar to Dusk Mane Necrozma, you can obtain Dawn Wing Necrozma late in the game. After obtaining Necrozma, fuse it with Lunala using the N-Lunarizer machine to form Dawn Wing Necrozma. Afterwards, obtain the N-Lunarizer machine from Professor Colress. You cannot obtain Lunala in the Ultra Sun version. However, like Solgaleo, Lunala can be obtained by trading with another player. Use the Colress machine (N-lunarizer) in order to fuse Necrozma and Lunala. Head to Mahalo mountain on Melemele Island. After arriving, proceed to the suspension bridge, where Lilie is waiting with Lunala. Fight and catch Lunala. If you have Lunala in your party, use the N-lunarizer on Lunala in order to form into Dawn Wing Necrozma. In order to evolve into Ultra Necrozma, use either of the Necrozma forms. 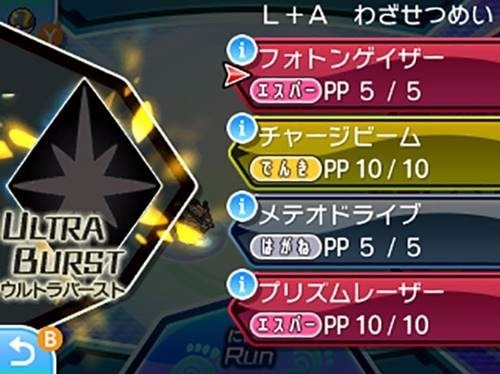 In battle, select the “Ultra Burst” button on the technique selection screen. Upon using “Ultra Burst,” you can change into Ultra Necrozma. In addition to Ultra Necrozma’s perks, you will also gain access to the special technique “Photon Geyser.” This ability will be able to activate an exclusive Z-move called Light that Burns the Sky. Thx,This really helped me out!